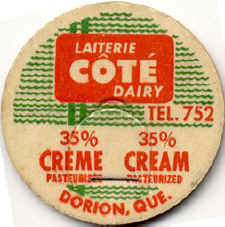 " Richard and Rolland Côté Prop." 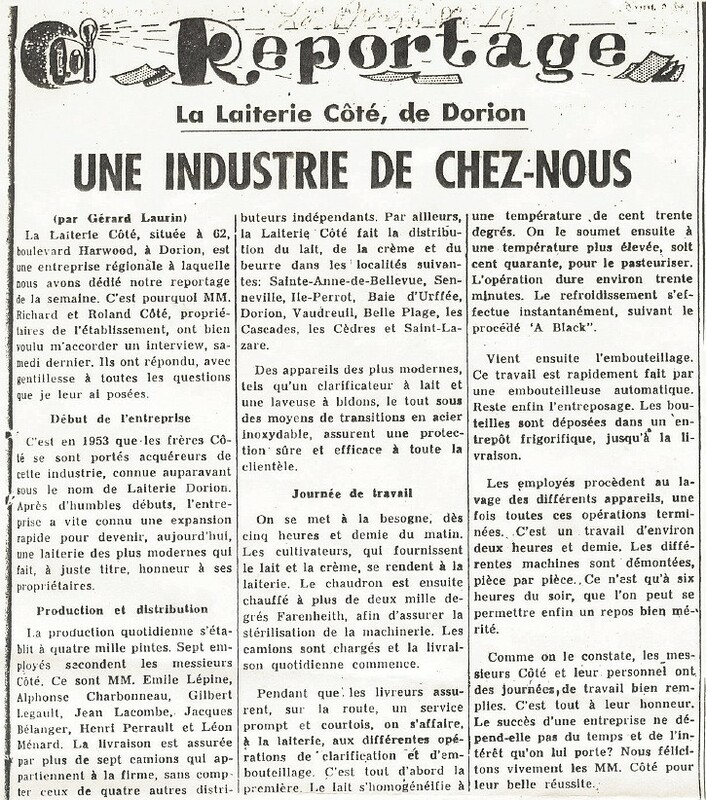 From newspaper "La Presqu'île" august 1958. 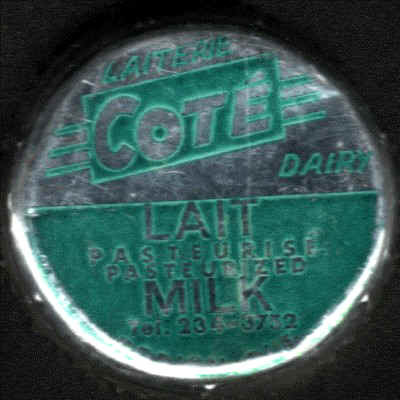 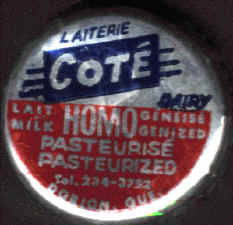 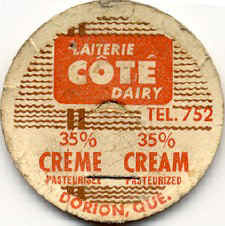 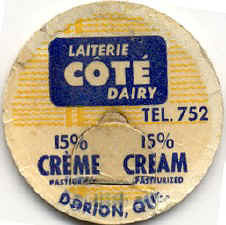 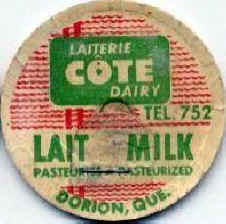 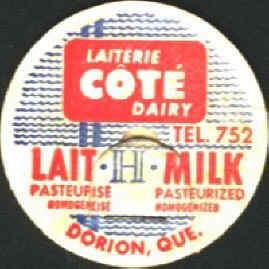 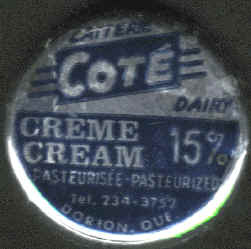 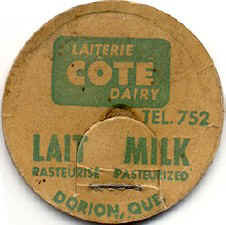 Sent by Lise Lirette, spouse of Philippe Pilon from "Pilon & Fils Dairy". 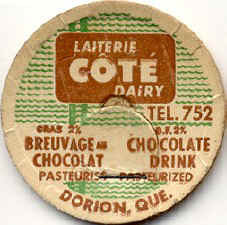 and in 1957 opened a second plant in Rigaud near autoroute 40.